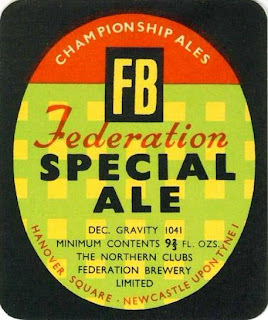 British beer gravities used to be a big secret. 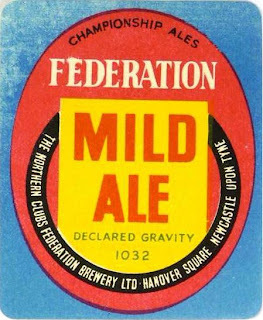 Until CAMRA had every cask beer analysed and published the results, no-one had any idea how strong British beers were. 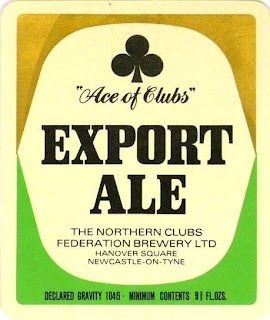 Though there was one brewery that wasn't so secretive. 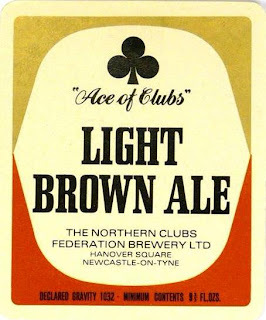 Just about the only breweries founded between 1910 and 1970 were clubs breweries. 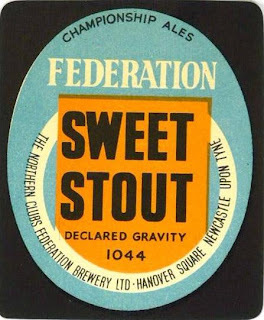 They were set up just after the end of WW I by clubs who felt exploited by brewers and who decided they'd be better off brewing their own beer. They were usually co-operatives, jointly owned by the clubs they supplied. Yorkshire Clubs, Midlands Clubs, Northants And Leicestershire Clubs, South Wales & Monmouthshire United Clubs and Northern Clubs Federation. The last is the only one still open, though in the hands of multinational Heineken. A bit sad really. Northern Clubs Federation did something unique. They listed their beers' gravity on the label. Very sporting of them. 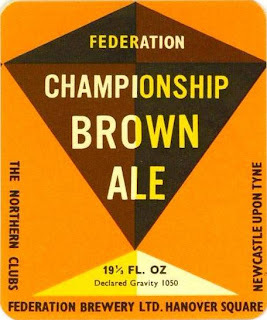 Between 1960 and 1966 Mild Ale seems to have changed itself into Light Brown Ale. Both, I assume, were simply bottled versions of their Dark Mild. 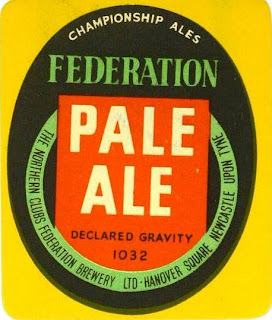 Based on the Whitbread Gravity Book, usually my only source for this period, Pale Ale and Special Ale appear to be bottled versions of their Ordinary Bitter and Special Bitter, respectively. Let's take a look at those gravity book entries, shall we? What am I doing? Trying to fill in some of the 1960's chapter of my book, that's what. It's weird. I've far more information for the 1860's.